When it comes to U.S. real estate, conventional wisdom is that auction sales are just for desperate sellers or bank-owned properties. Yet, in many parts of the world, auctions are a standard course of business to buy and sell real estate and the trend is on a steady upward move in the U.S. In fact, real estate auction sales have increased approximately 25% year over year, according to industry leaders in the field. This course will help you by bridging the expectations for your inbound international clients and when they can expect in your ‘neck of the woods’. 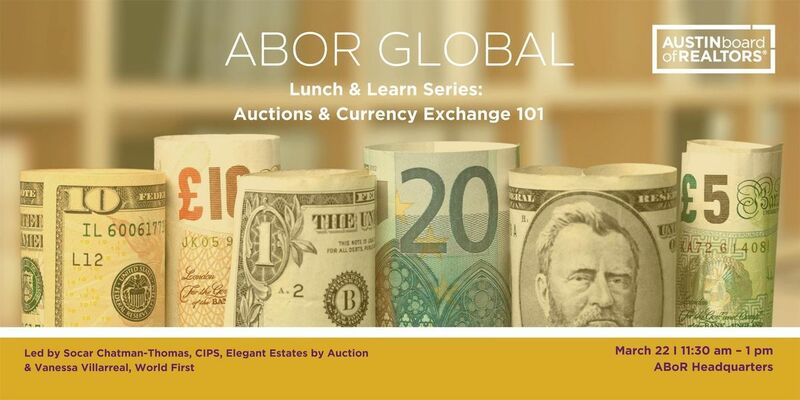 It will include the differences between the Traditional Life Cycle vs. the Auction Life Cycle, and considerations for currency exchange tips for your clients. 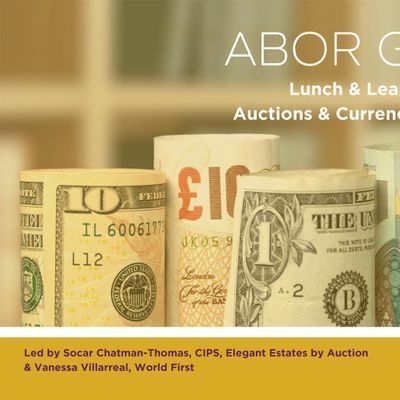 ABoR is proud to announce our Global Lunch & Learn series. 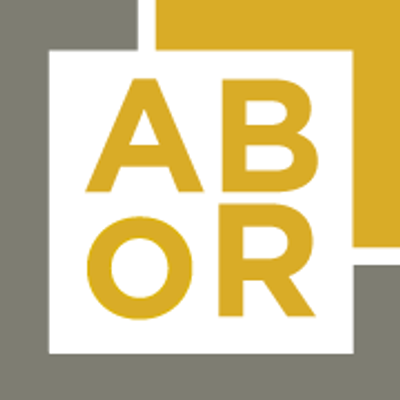 Throughout the year, we connect ABoR members with industry leaders, multicultural and international stakeholders, and community leaders on the core issues to help members increase awareness, knowledge, and success in the global real estate arena. Lunch is provided. Our Lunch & Learn Series is a free Austin Board of REALTORS® member benefit.